Factories have come a long way since the Industrial Revolution. They have achieved a very high level of technical innovations, and working conditions for workers have been improving greatly. These areas may not be always under public eyes, but they need professional maintenance for the benefit of workers’ health and safety, and of the global performance of the company. Hence the importance of planning clever daily, weekly and monthly cleaning procedures: keeping a satisfactory level of safety and health on the premises can help to avoid the demanding work and challenges that come from infrequent cleaning. We must not forget that any kind of undisposed dirt or residue can turn into a hazard. Daily and ordinary spillage of grease and other liquids used for production, or even simple dust or dirt can cause workers to slip and tumble or machineries to stop from working. Effective cleaning solutions help industries to keep a high level of safety and efficiency in their premises, avoiding environmental and health hazards and, in the end, providing flawless products to the market. Uncontrolled gasses, dusts, fumes, vapours and smoke are often a direct consequence of poor maintenance of both machinery and their surroundings. A production line should always be kept clean and in perfect working order. The warehouse aisles should be free from scrap and dirt residues. It is a challenging task but very beneficial. In some industries, if not kept under strict control, pests, moulds, fungi, bacteria, yeasts and viruses can be a very serious risk of productivity. In the food industry, for example, it is crucial to clean and sanitize the food prep area and all tools used to produce food. These must be free from physical, allergenic, chemical and microbiological hazards to prevent risks of contamination of products and consumers. Speaking of food industry, it would be appropriate and advisable to use environmentally friendly industrial cleaning products and solutions, specifically designed and conceived to ensure that surfaces are degreased and sanitized in an optimized way. IPC can propose different and specific cleaning best practises, solutions and equipments for each of these areas. To know more about our proposals do not miss our next post! 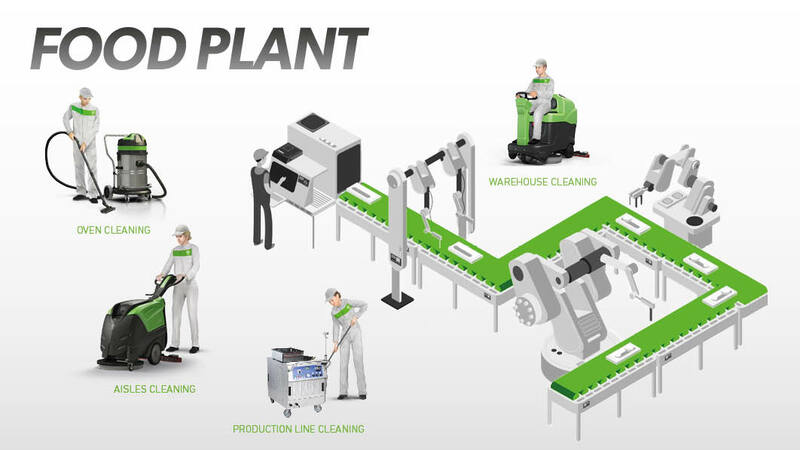 Do you want to know more about IPC products? Go to our product pages!